Robert L. 'Lee' Archer, M.D., a neurologist and chairman of the Department of Neurology at UAMS, is the Arkansas Medical Society president for 2018-2019. July 24, 2018 | July 24, 2018 | Robert L. “Lee” Archer, M.D., a neurologist and department chairman at the University of Arkansas for Medical Sciences (UAMS), has been inducted as Arkansas Medical Society president for 2018-2019. As president of the Arkansas Medical Society, Archer leads the largest professional society for physicians in the state. The society organizes and advocates for the interests of physicians, provides resources and educational opportunities and aims to improve health care in Arkansas by supporting practices that benefit physicians, patients and medical students. Archer was formally installed at the medical society’s 142nd annual Welcome Reception and President’s Inaugural Gala, held in May at DeGray Lake Resort State Park in Bismarck. The ceremony was performed by outgoing president Amy Cahill, M.D., and other past medical society presidents. 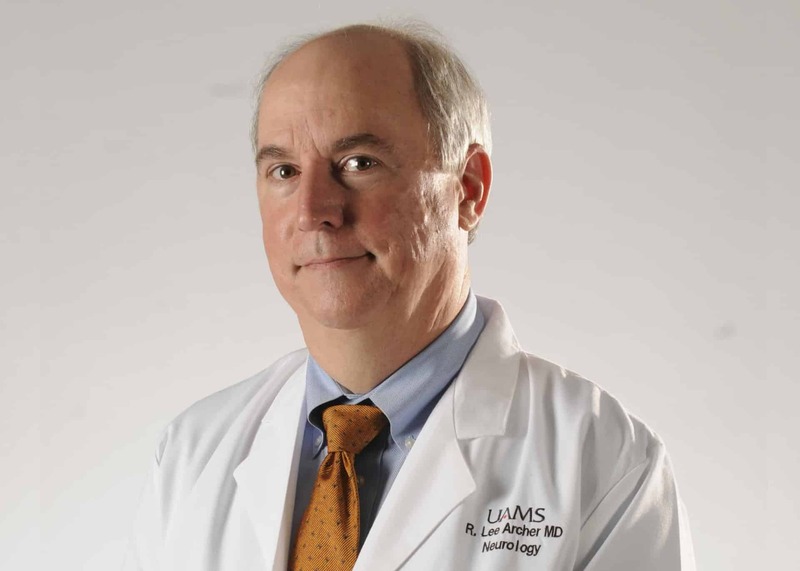 Archer is professor and chair of the Department of Neurology in the UAMS College of Medicine. He also holds the Major and Ruth Nodini Chair in Neurology, a $1.5 million endowment that supports his clinical care, multiple sclerosis research and educational programs. Archer has been married to his wife, Nancy, for 41 years and always credits her as the secret to his success.